Can I connect Batch with Adjust? Yes, you can use Adjust attribution data to improve your segmentation within Batch. The connection only requires a quick code addition. As you may know, Adjust is a Mobile Attribution and Analytics service. Their service provides app marketers with a smart business platform, combining measurement for advertising sources on mobile with advanced analytics. The good news is that you can use Adjust attribution data to improve your segmentation within Batch. Callbacks provided by Adjust SDK allow you to sync Adjust data with Batch SDK. 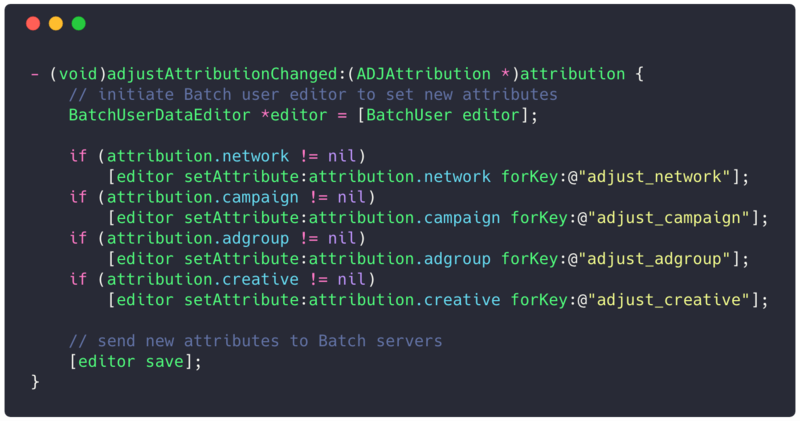 When you have implemented the Adjust attribution callback inside your application, you can use Batch segmentation engine to target users based on install source attribution data. 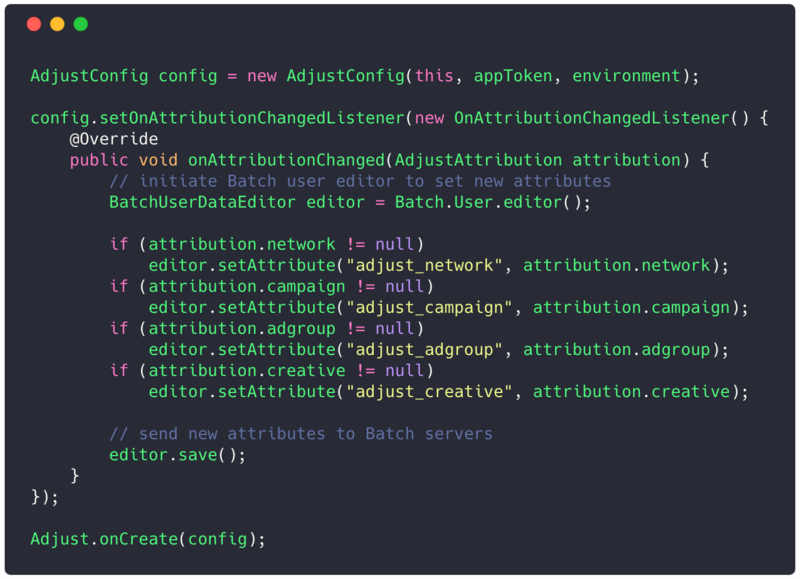 After having set up the Adjust attribution callback (iOS instructions on callbacks), you simply have to send Batch the appropriate data via the SDK's method. You can find here the official Github repository. Similarly, you have to set up the Adjust attribution callback (Android instructions) and sent Batch the attribution data via the SDK's method. Now, you can test your integration using our debug tool and find if your attribution data work properly on the Batch dashboard. That's all, you have no excuse not to properly target your users based on attribution now 😉.